[From one of more than 1400 5-star reviews!] “This is hardly an impartial review. 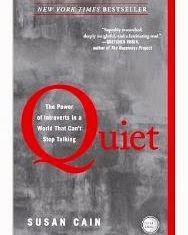 As somebody who has been called at some point or another the gamut of terms associated with introversion, from "shy" (which I don't object) to "anti-social" (which I most certainly consider unfair), I found in Susan Cain's "Quiet," the validation and appreciation many introverts have been searching for. In "Quiet," Ms. Cain explains the rise of the Extrovert Ideal in the 1920s and how it is that today we associate talkative, risk-taking, and action-oriented people with intelligence, beauty, power and success. The Extrovert Ideal is so pervasive that influences our work performance, educational policies, political choices, and even the country's financial health. But the focus of "Quiet" is on exposing the myths and misunderstandings that were born when we as a culture embraced the Extrovert Ideal and turned introversion into a malady to be avoided. 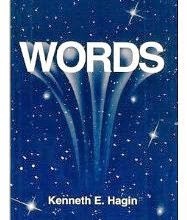 Several of Dad Hagin’s short books are free right now, and several more are only $0.99. 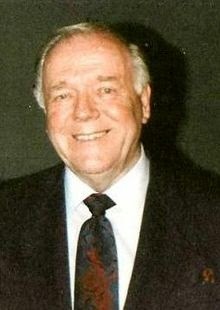 Kenneth Hagin was a true apostle. He was considered the father of the Faith Movement (which took his teachings much farther than he ever took them), and his understanding of the Kingdom of Heaven was remarkable. I love his understanding of who we are, and whose we are, and application of that as we walk out our life on earth. 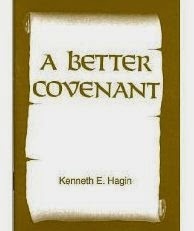 This is a little (21-page) booklet is about the covenant that we live under. The Body of Christ has wonderful rights and privileges under the New Covenant because it was established upon better promises. 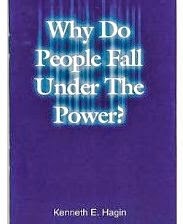 FREE BOOK: Why Do People Fall Under the Power? This minibook explores why people fall under the power of God, citing as evidence Church history records from Bible days to today. There is a very fine line between real spirituality, and fanaticism and excess. 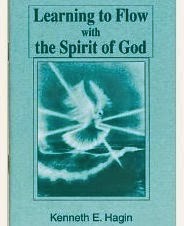 Discover how to yield to the Spirit of God individually and corporately. Yesterday's words shape life today. Discover how the words we speak affect families, health and success. Our lives are filled with in-between times, those times when we are not quite where we would like to be (or where we thought we'd be). Dreams are on hold, prayers seem unanswered, and life can feel hard. And just when we think we have it all together, life happens again! During these times it can be difficult to see God in our situations and trust him with the future. This caught my attention from her bio: “in her thirties, as a young pastor's wife, the Stepford woman crashed and burned. Real life hit and so did depression, discouragement and the stripping away of anything pretty, perfect or polished in her life. She was sure that God could never use her life again. Charles Kraft is a legitimate expert in this field. Many Christians labor under the false notion that because they are saved, past wounds, hurts, and consequences from mistakes are swept away. Yet they continue to be plagued with spiritual and emotional problems. They long for healing while wondering why they are unable to break free. , is that believers need to seek healing and deliverance as steps beyond salvation. Only when Christians are freed from the bonds of oppression deep inside themselves can they walk with the closeness with Jesus they yearn for. 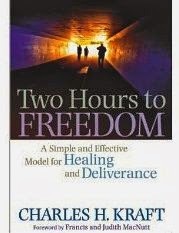 Using a proven process he has refined through years of successful deliverance ministry, Kraft leads readers step by step to freedom--and ultimately to healing. 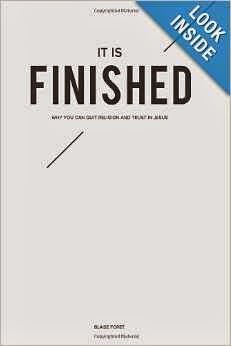 It is Finished: Why You Can Quit Religion and Trust in Jesus! 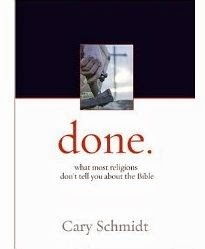 INTERESTING BOOK: It is Finished: Why You Can Quit Religion and Trust in Jesus! I’ve learned to respect Blaise’s writing. He gets it. There is a generation that has come to the end of religion and let go of the pressure to "measure up" in their spiritual journey. They have abandoned the idea of an angry God in the sky who is keeping a list of humanity's rights and wrongs and they are awakening to the picture of pure grace and love found in the Person and life of Jesus Christ. Their freedom is found in their identity as sons and daughters of the Father who is Perfect Love, and their bliss is anchored in the overwhelming reality of Christ's finished work for all mankind! Do you consider patience as a frustrating process in the Christian life? Have you ever believed God for something, and then felt like you were shoved into a prison called ‘patience’ while you suffered, served your time, until finally God graciously opened His hand to grant your request? It is time to strip away these misconceptions and take a new look at the powerful combination of faith and these dynamic twin forces of patience in the believer’s life. In fact, the closer we look at the powerful DNA of faith, we will see the double helix of these two forces of patience that give faith its true backbone of strength to overcome. 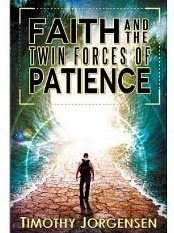 This book will give you a new perspective on how your faith will manifest God’s reality in your life, and how each force of patience will position you to consistently walk in this victory of faith. With a strong teaching gift, Timothy Jorgensen ministers internationally with a passion to raise up breakthrough believers of all ages and backgrounds. He is a graduate of Spirit Life Bible College in California, and School of the Prophets in Malaysia, and holds ordination through John G. Lake Ministries and is Wisconsin State Director for JGLM. He has spent years ministering in the US, New Zealand, Indonesia, Nepal and Malaysia. Do you believe miracles still happen? Definitely, you say, because you or a loved one has experienced a miracle--your sister survived a car accident that should have resulted in death. You received a check for the exact amount needed to cover this month's overdue electric bill, when your bank account was empty. Or maybe you say, I'm not sure. You've heard stories, but you're skeptical. It seems there are a lot of impostors claiming to perform miracles. The answer? Absolutely. 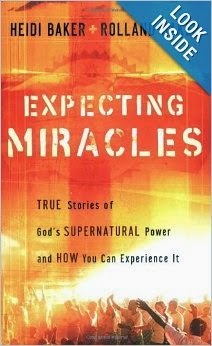 And while the miraculous stories in this book are evidence of God's working today, that's just the beginning. Pastor and teacher Dr. Jim Garlow and writer Keith Wall carefully examine biblical teaching about miracles and provide honest, trustworthy information that will boost your faith. 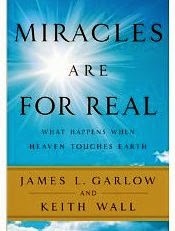 Whether you need a miracle today or you want to understand how to recognize a true miracle, this is your inspiring guide. Recommendation: If you are a writer or if you’re thinking you might want to be, then grab this (it’s FREE right now) and keep it for that day that you need it. From a 5-star review: “While I was expecting prompts more along the lines of a visualization exercise or lists of items for the writer to include in their piece, this approach with open-ended questions offers something a little different. 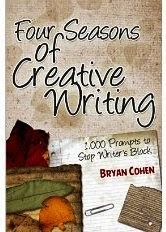 As some other reviewers have suggested, many of the prompts are aimed at school-age writers, but even older writers looking to break out of their comfort zones can benefit from thinking seasonally for a change. [From a 5-star review] : “Someone commented earlier that this was just a compilation of what was already all over the Internet, but that is not true. I thought that's what it might be, and didn't care, but most of what was in the book were things I'd never seen before, and I thought I'd seen them all. 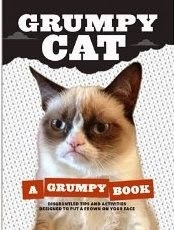 In fact, my first thought was that I was happy the owners decided to save some of the best Grumpys for the book. § Aren’t all religions fundamentally the same? § Was Jesus who He claimed to be? § Can one study the life of Christ and demonstrate conclusively that He was and is the way, the truth, and the life? 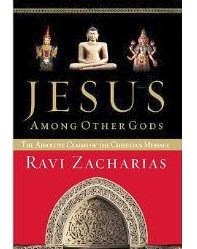 From a 5-star review: “Ravi Zacharias is probably the most concise and succinct Christian apologist of our day, and this book is classic Zacharias! He gives us a clear defense of the Christian message as he tackles some difficult areas of Christian apologetics, such as the problem of suffering in the face of a loving God. His viewpoint is one of a man who is well versed in the ever popular eastern philosophy of his childhood. from all their years of serving the poor. From a 5-star review: “Ever wonder what your destiny is? Heidi and Rolland Baker believe that "Wherever you end up and whatever you do, your destiny is this: to be fully possessed by God's presence. To carry his glory. Then...you are His resting place, and all that can be there is life and beauty." The Bakers are founders of Iris Ministries, and have been missionaries to Mozambique since 1995. They care for over 10,000 children through their ministry, and many more through the Iris network of more than 10,000 churches, Bible school, primary schools and remote outreach programs. 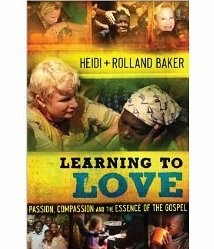 This book is a conversation, sometimes told by Heidi, and sometimes by Rolland, of experiences and truths learned through being filled with God's love and listening to His voice. In Mozambique, one of the most dangerous and poor places in the world to live, lives and even whole villages change because the power of God is demonstrated so mightily. The Bakers believe that God's love is the answer and they live that way. They expect Him to meet needs, big and small. Healings and miraculous provision happen regularly. The Bakers have learned some important truths that will encourage all of us. People often ask them how and why these things happen with such regularity in Mozambique. "Where does the kind of faith that soars come from? It comes from love, from knowing who Jesus is, from understanding what He thinks of you and realizing who He has made you to be. When you are in love, you have power. When you start to grasp how wide and long and high and deep is the love of Christ, you start to get full of God and full of the understanding that whatever He asks of you to do, you can do; that wherever He asks you to go, you can go. You can live on the edge, because even in the darkest places, light is waiting there for you. His love, His light in you and me. Passion: It makes us unstoppable." 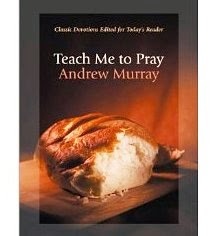 The simple message conveyed in this book is "Love God and love the one in front of you." Nothing else matters more than that. Love is action. Ministry is looking to the interests and needs of others, caring more about others than about ourselves. Loving ourselves so that we can love others means we understand how much God loves us, just as we are. He loves who we are right now and who we can become. He sees our hearts. Interspersed in with incredible faith building stories is encouragement for all of us, no matter where we live and what we do, to fulfill our God-given destiny. God's love is the starting point for true change and Learning to Love explains it well! Despite the journal format of the book being a little distracting, it is most definitely a recommended read! Elijah called fire down from heaven, Joseph the Dreamer ranked next to Pharaoh, Samuel anointed King David, Daniel interpreted Nebuchadnezzar's dreams, Ezekiel breathed on the dry bones, and John the Baptist prepared the way of the Lord. From the Old Testament to the New Testament and in today's day and age, PROPHETS come and go. Bearing God's message, bringing His judgments, giving answers to problems, calling things to life, pointing people back to Him. Prophets . . . called . . . appointed . . . trained . . . ordained. The Prophetic Supernatural Experience is a groundbreaking resource on biblical prophecy, the prophetic office, and the training of a prophet. God still speaks through His prophets and He wants to equip those called to this gift and ministry through this comprehensive guidebook on moving into this anointing. The prophetic office is not limited to only a select few. You can prophesy to a stranger on the streets, through email or chat, or anywhere God leads you. He calls every believer to deliver His message at His opportune time and set people free, heal their body, restore relationships, bless them in every way, and save their soul. The Prophetic Supernatural Experience provides you with biblical principles that will help you to impact lives and imitate Jesus' powerful life here on earth. 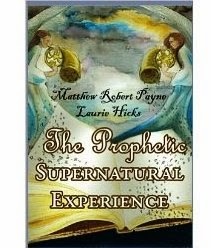 From a 5-star review: “The Prophetic Supernatural Experience truly is a remarkable book, created by remarkable people. 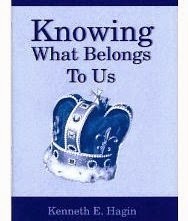 Harvesting all of the wonders of the Bible in respect to prophesy in such a natural, understandable way, the authors, Matthew Robert Payne and Laurie Hicks, methodically introduce and share believable life experiences thrown at them that developed into spiritual revelations leading to the pathway of prophecy. The wealth of information is amazing. It is safe to say at the very least, that the Bible is a fascinating book. A book full of many true tails, even struggles and disappointments, along with much information intended to help people grow and mature in their relationship with God. After all, it is impossible to have a positive relationship with someone we have not gotten to know and this principal applies to all relationships including one with God. While there are many ways to get to know our Heavenly Father, reading the Bible is one of the most important tools provided for us. However: many shy away from reading the Old Testament for various reasons, and one reason high on most peoples list is due to the "gloom and doom". However, not reading the Old Testament portion of the Bible is similar to using half of the pieces to a 1000 piece puzzle. We will never see the big picture if we only use half of the pieces included. One of the most misunderstood and misused books of the Bible is the book of Job. Yes, the book of Job is filled with suffering and difficult times in the life of Job and his family and friends. In turn the book of Job has become a favorite among many when it comes to dealing with difficult times in their own life or the lives of others. 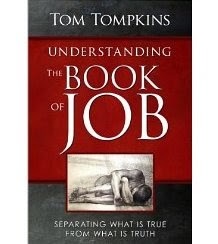 This particular take, on the book of Job however, is written to help us understand the lessons than can be learned from Job's life, as well as a better understanding of the character and nature of God Himself, by taking a look at the oldest book in the Bible, from a different angle. When we do so, I believe we will see things we never would have seen without changing the lens we view this incredible story through. The Christian wife of an unsaved husband has a special ministry that no one else can fulfill. Linda Davis explains how to minister to your husband while living a rewarding life both spiritually and personally. 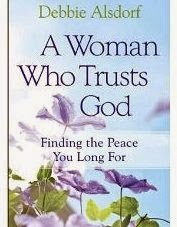 Drawing from personal experience and biblical wisdom, she describes how you can be happy in spite of your circumstances, understand your husband's point of view, witness to your husband without saying a word, release your husband to God, and rely on God's perfect timing for your husband's salvation. 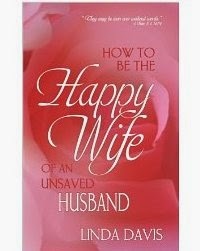 This book will benefit any woman who desires a deeper spiritual life for both her husband and herself. "As Patrick came near to Dublin, at that time a small village, he prophesied, "This village which is now very small shall hereafter become very eminent. it shall be enlarged in riches and dignity. Neither shall it cease to grow until it has become the principal seat of all the kingdom." At this time, Alphinus was the king over Dublin. He and all the citizens were in great sorrow, for the death of the kings two children. The kings only son, called Eochadh had died a sickness, in his bedroom. The king's daughter, and a sister to the young prince, had just been drowned, in the adjoining river, now known as the Liffey. She had ventured into the deep part, for the purpose of bathing. Her name was Dublinia, and from her, Dublin is thought to have derived its name. 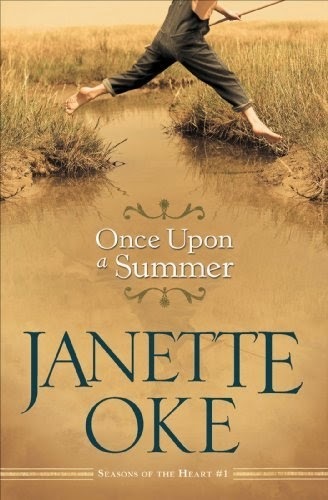 The young lady's body was drawn out of the waters after some considerable search, and laid by her brother's corpse, in order that their funeral rites might be solemnized together. According to the superstition of the Druids , the tombs were prepared. In the meantime, news was spread over all the city, that "St. Patrick, the powerful reviver of many dead persons" (what a reputation !! ), had been seen in the town. For He who burst asunder the gates of death and of hell, smoothed the path for his servant. The king and the people, who before had said to the Lord, "Depart from us, we will not the knowledge any of thy ways," were so cast down, saddened with grief, that all of their rebellion and all their barbarous rudeness, and all the pride of their idolatry, were utterly subdued. The King had previously rejected the Gospel because he had his druid wizards, who were pretty powerful. And so the king, hearing of St. Patrick's arrival, sent messengers to ask him to come in, where his two children lay dead. When Patrick came to the room in which the two children were laid, the King asked him if he could do anything. Patrick replied that he could, but if the children were raised then He would do it in the Name of Jesus, and told the King that if God did this for him then He would have to promise to serve his God, the God of the Christians. The King agreed before all those present, that if God restored his children to life, that he and all the citizens would become Christians. Seeing such a gain of souls, in the sight of the king, his nobles, and all the common people, Patrick raised from death to life those princely children, whose bodily resurrection co-operated much towards the spiritual resurrection of their father, with the rest of his people. The king and all his subjects, being astonished at this great miracle, turned away from the worship of Druid idols, and they were baptized in the river Liffy. From that day the King and all the people worshiped God and gave liberally to Patrick, so that he was able to give to the poor in that place and other places and have enough to build churches. 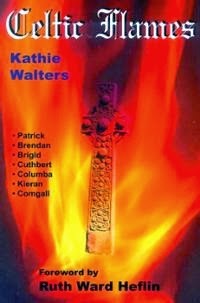 Note: Celtic Flames contains accounts of the ministries of Patrick, Brendan, Columba, Comgall, Brigid, Cuthbert and others. 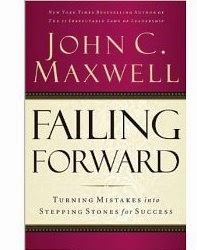 From a 5-star review: “Failing Forward is one of the best stallbusting books I have ever read! It focuses on how to handle our emotions when things aren't matching up to our expectations. Dr. Maxwell identifies dozens of stalls that delay progress for those who are experiencing setbacks in their lives. While most people see setbacks as a negative, Dr. Maxwell points out that there is an important lesson that we can use to accomplish more in the future. Building on that appropriate and valuable perspective, Failing Forward postulates 15 principles that can help you apply the lesson. 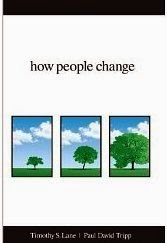 Each chapter covers a separate principle and is filled with self-diagnostic questions, as well as heart-warming examples of how people went from apparent failure towards great success. The work is very consistent with the philosophy of Anthony Robbins. 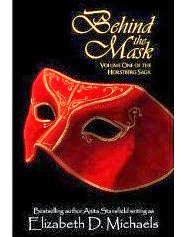 If you are a Robbins fan, you will find this book to be a good complement to Unleash the Power Within. 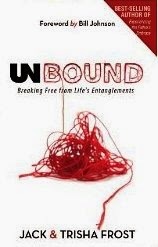 I strongly recommend that you read this book, and reread it the next time you are feeling sorry for yourself or have a setback. If you care about others, be prepared to loan your copy to the next person who looks morose after having a problem. 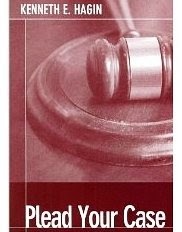 Dr. Maxwell also offers a self-diagnostic test on the book's Web site. I took that test and found it helpful to cement my understanding of the book. I recommend that you do this as well.